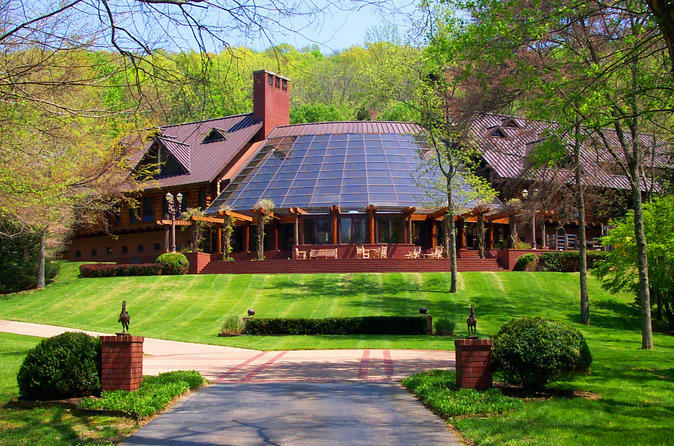 The 33,000 square foot former home of country super-star Barbara Mandrell is open for daily tours. This is the only “home of the stars” tour in Nashville that you can actually go inside! The Mansion boasts over 20 rooms, 13 bathrooms, 5 fireplaces, 2 kitchens, an indoor pool and even an indoor shooting range. Fontanel is one of Nashville's premier destinations situated on 186 acres nestled in the rolling hills of the Whites Creek Valley, just 15 minutes North of downtown Nashville. Property activities include tours of the Fontanel Mansion, a 33,000 square foot log cabin and former home of Country Music Hall of Fame member Barbara Mandrell. Concerts at the Carl Black Chevy Woods Amphitheater, feature national touring musical acts. Music City Ziplines by Adventureworks, and three miles of public walking trails provided by Metro Parks and Greenway. Handcrafted small batch fine wine and baked goods are available at the Natchez Hills Winery and Bistro, where special weekly events and entertainment are held. Cafe Fontanella is the property's award-winning restaurant, and is open 7 days a week featuring Italian/American cuisine. Accommodations are available on-site at the luxurious Inn at Fontanel, the 2013 Southern Living Idea House turned boutique Bed and Breakfast. Shopping is available at the Stone House Gift Shoppe (which also serves as the box office).